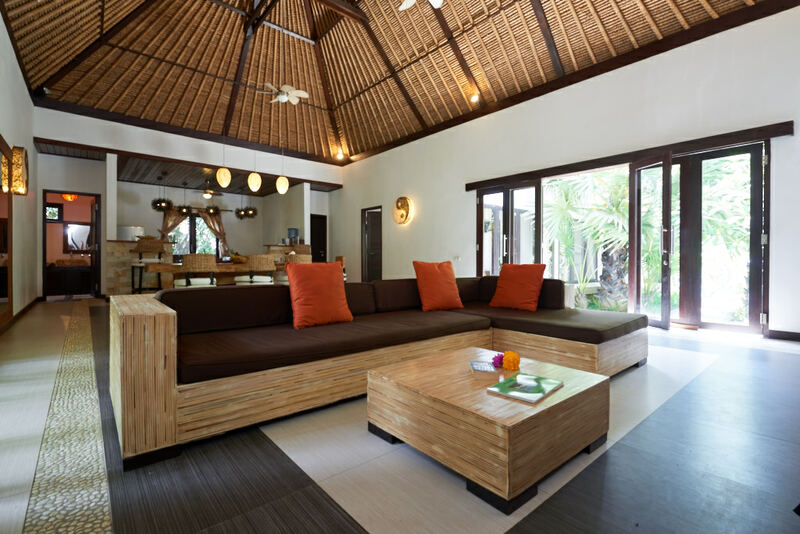 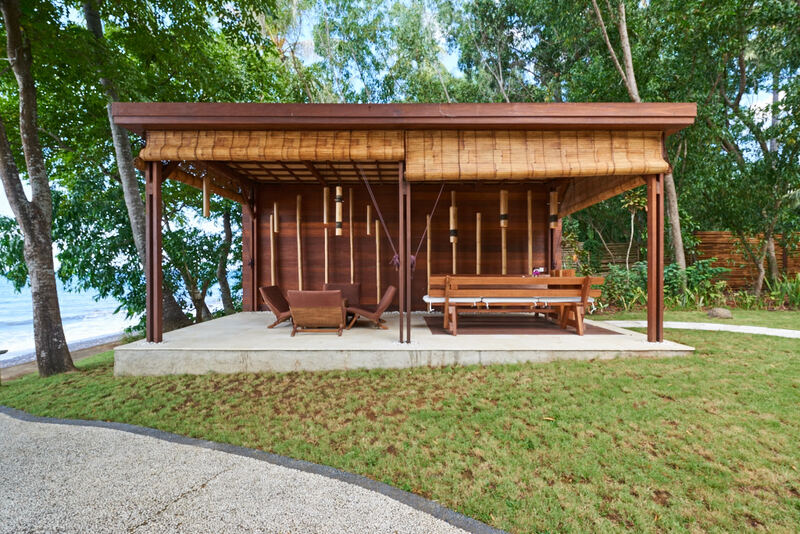 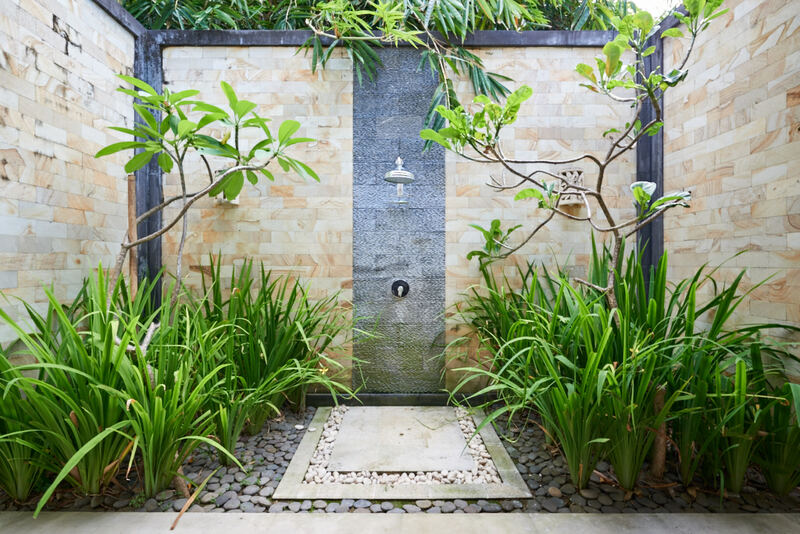 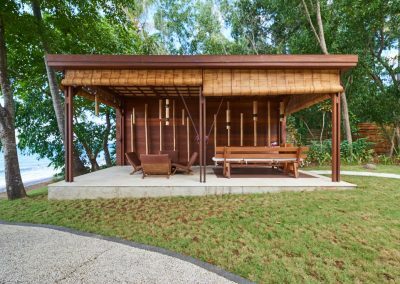 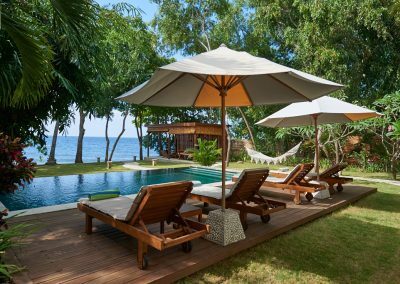 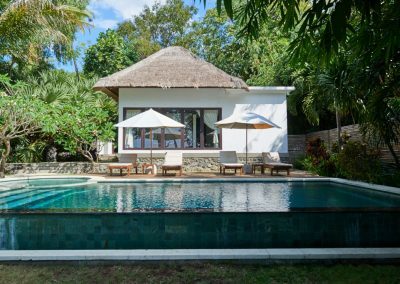 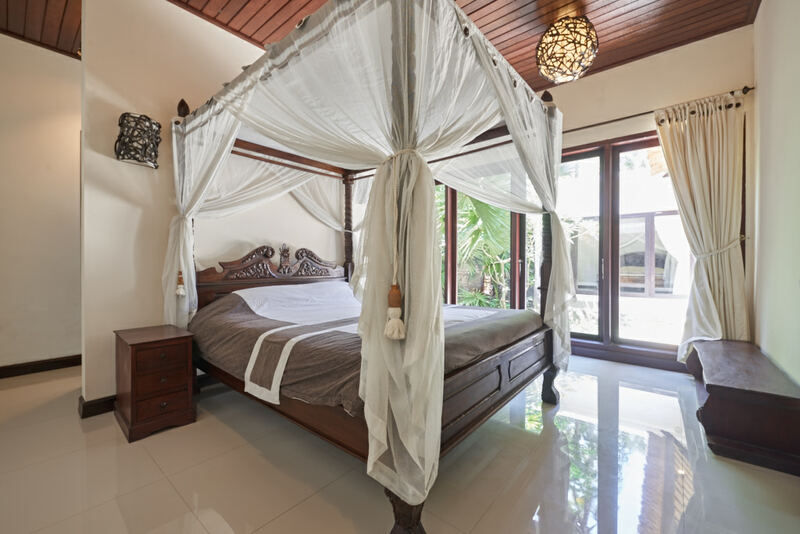 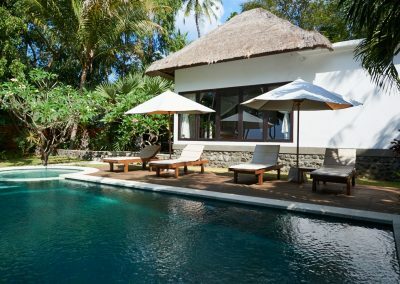 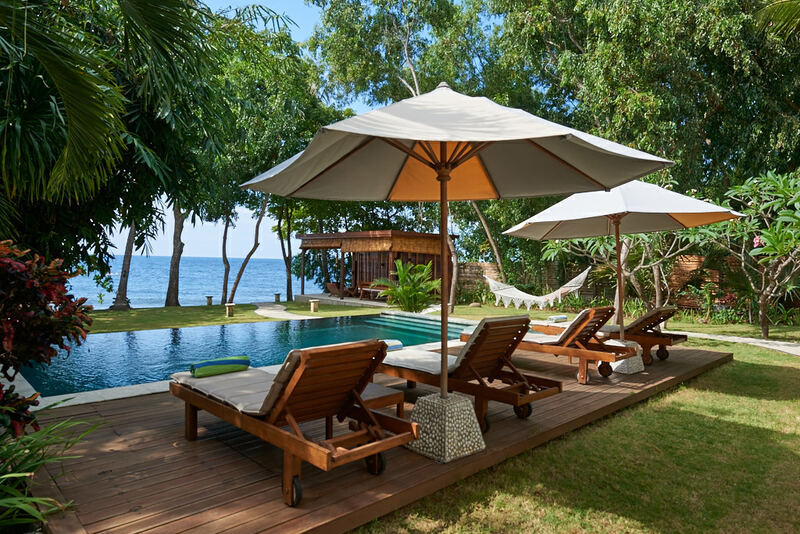 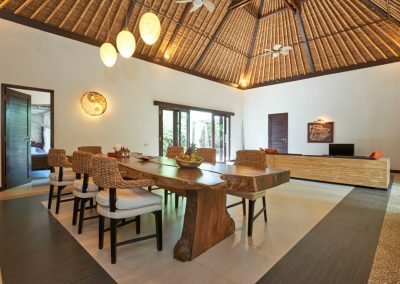 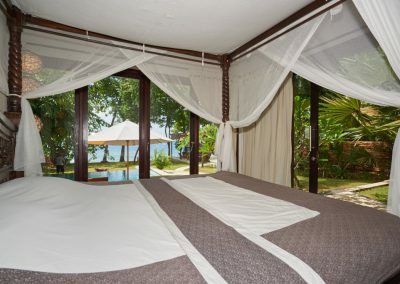 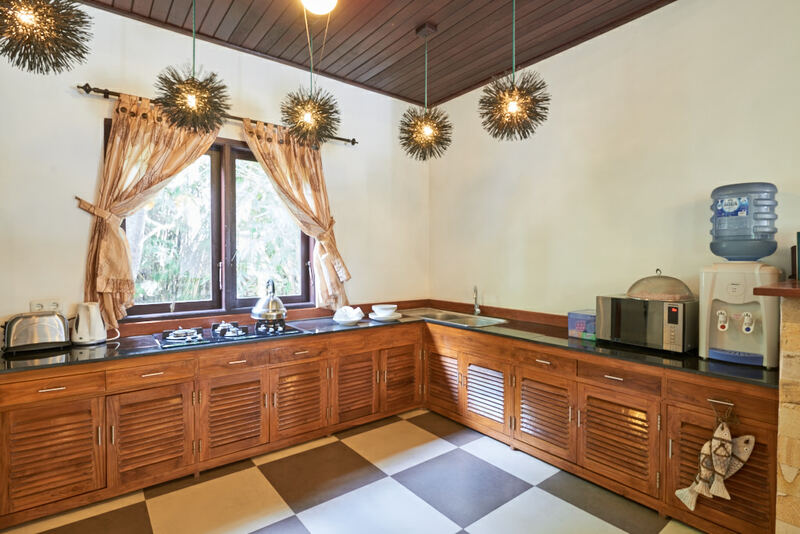 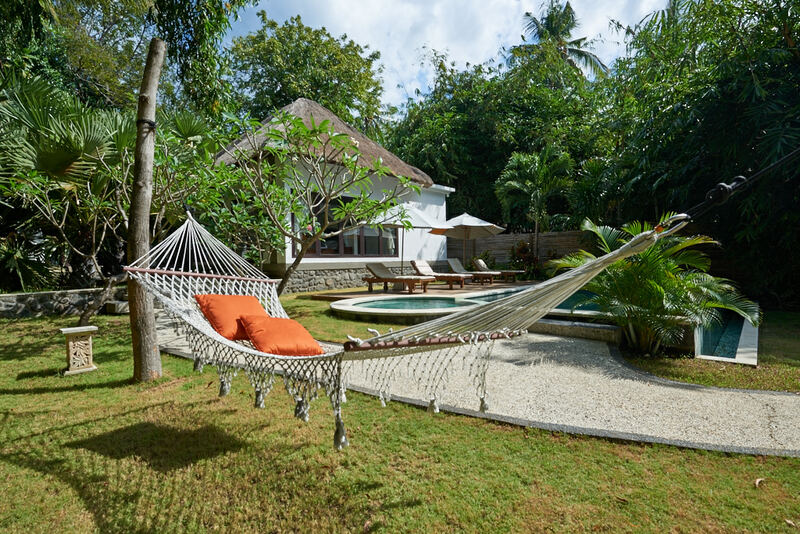 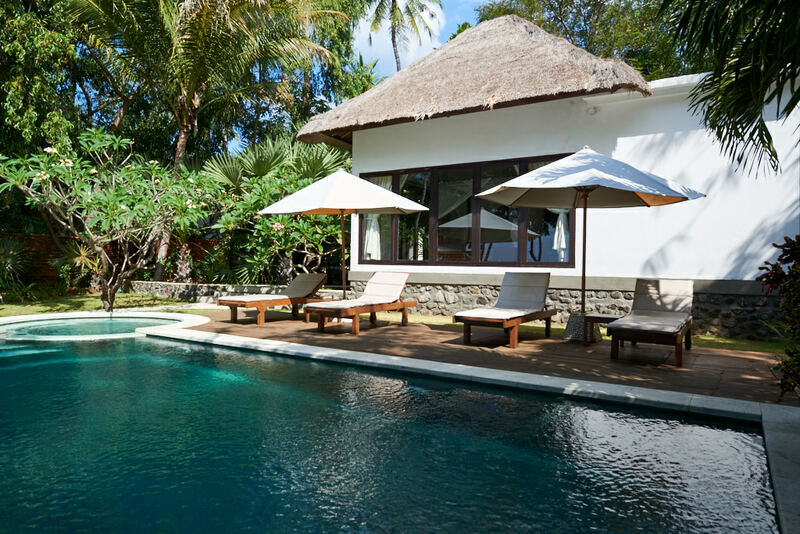 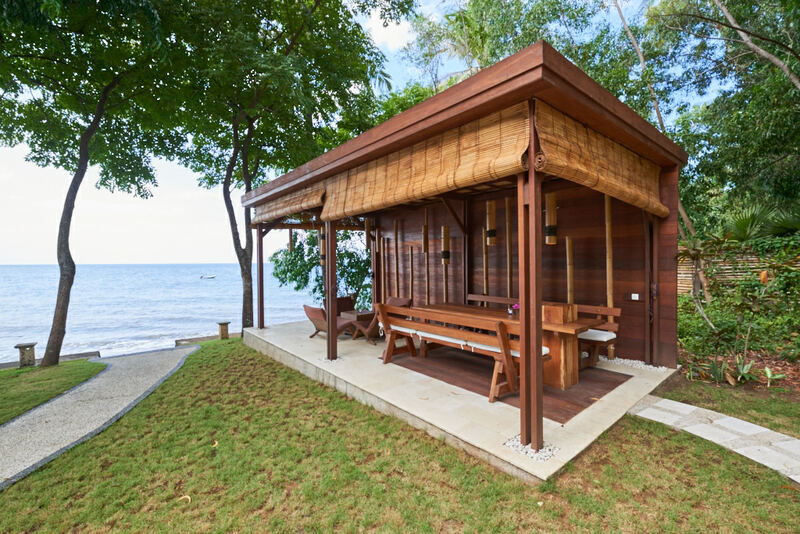 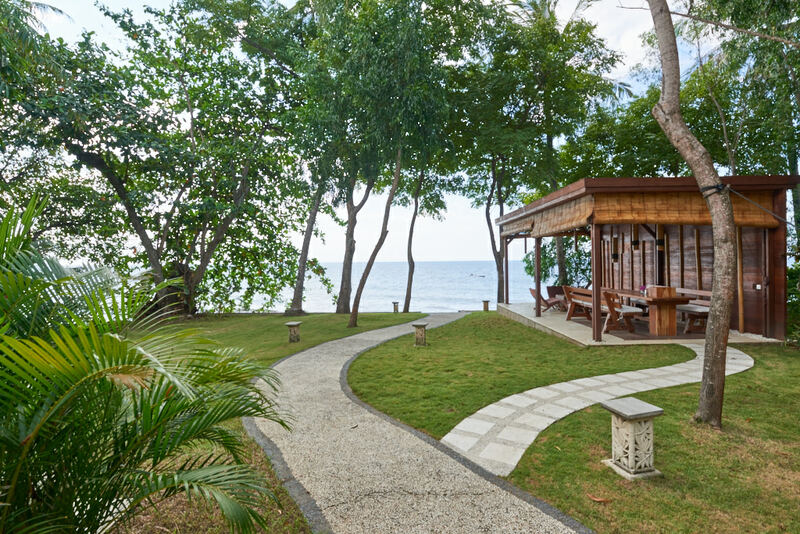 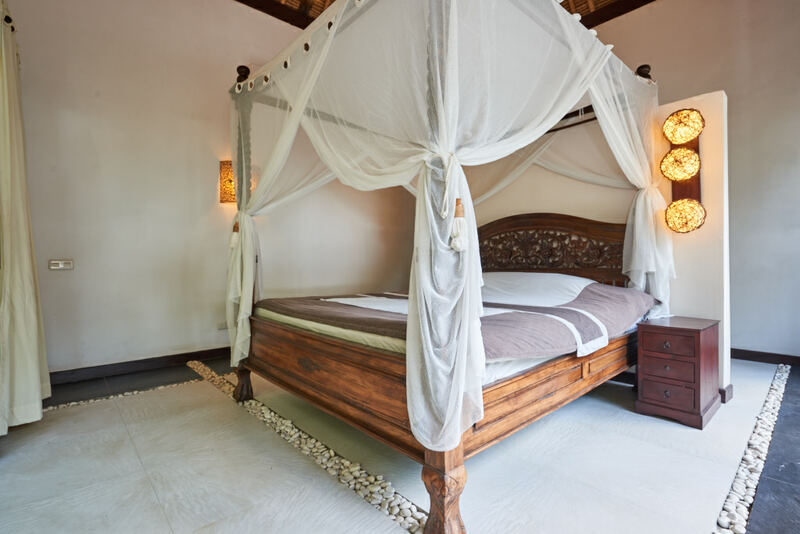 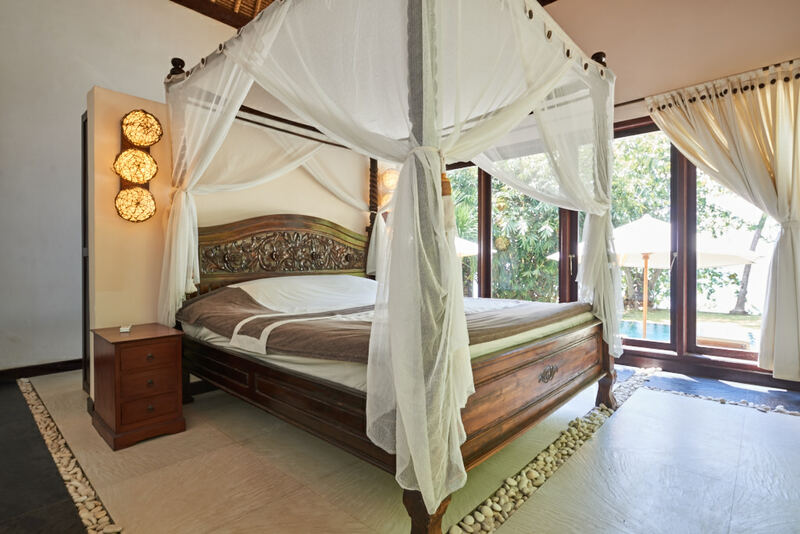 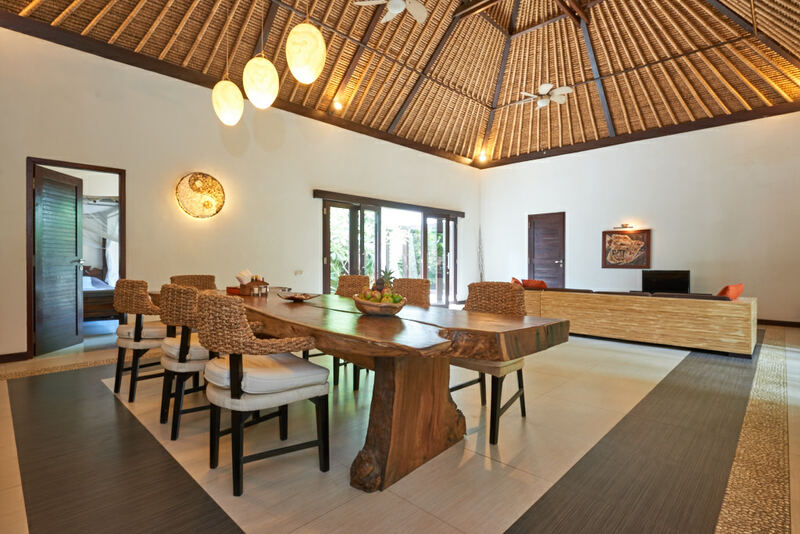 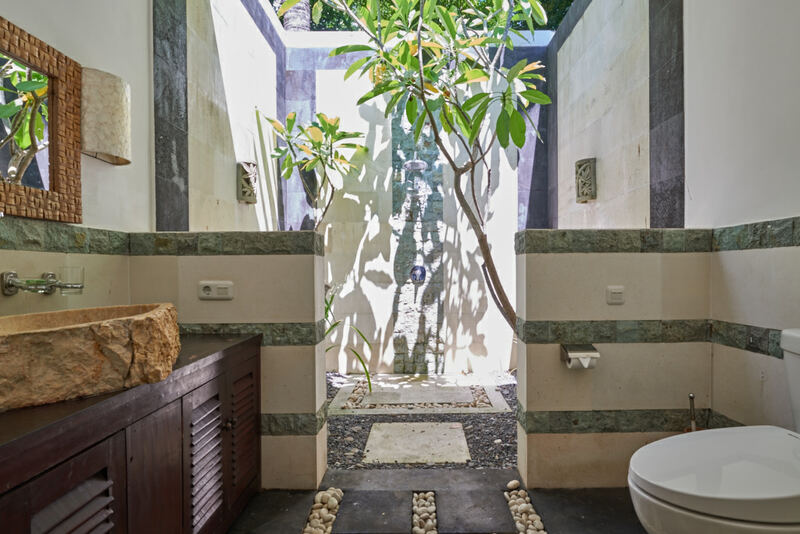 This absolute beachfront Villa was built in tropical style among the coconut trees. 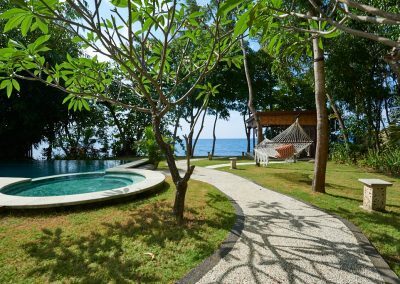 It is facing the ocean with its pebble beach and beautiful coral reef. 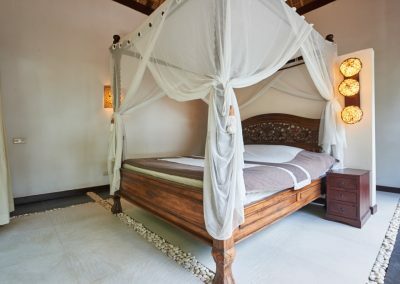 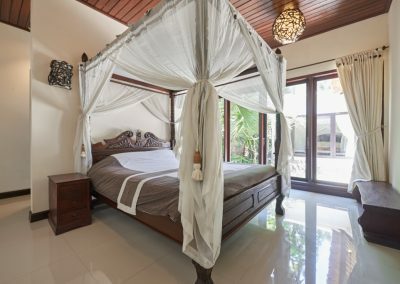 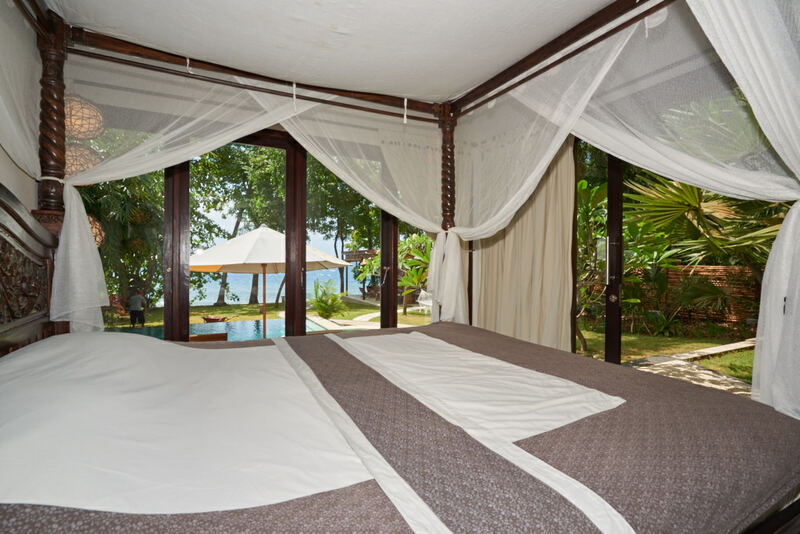 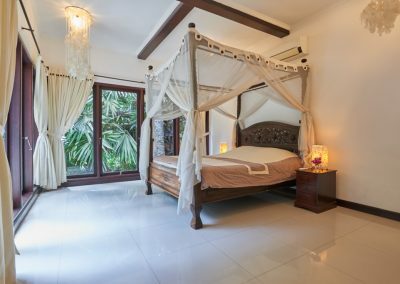 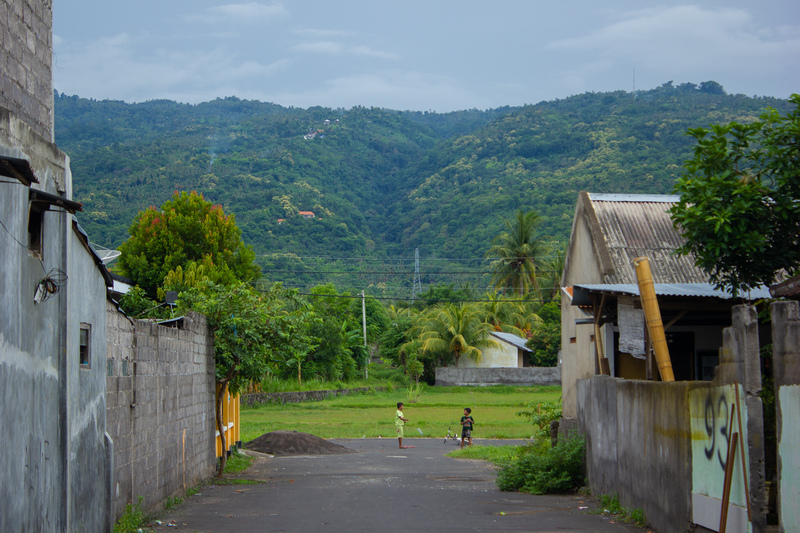 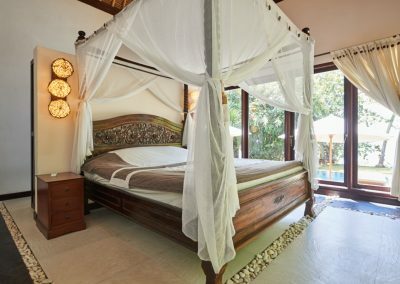 There are 3 spacious bedrooms with large beds, one small room with single bed, 4 bathrooms, a kitchen and a living room. 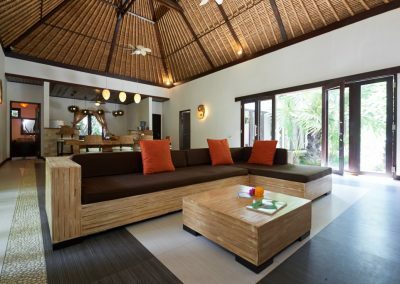 A TV set and DVD player are present in the living. 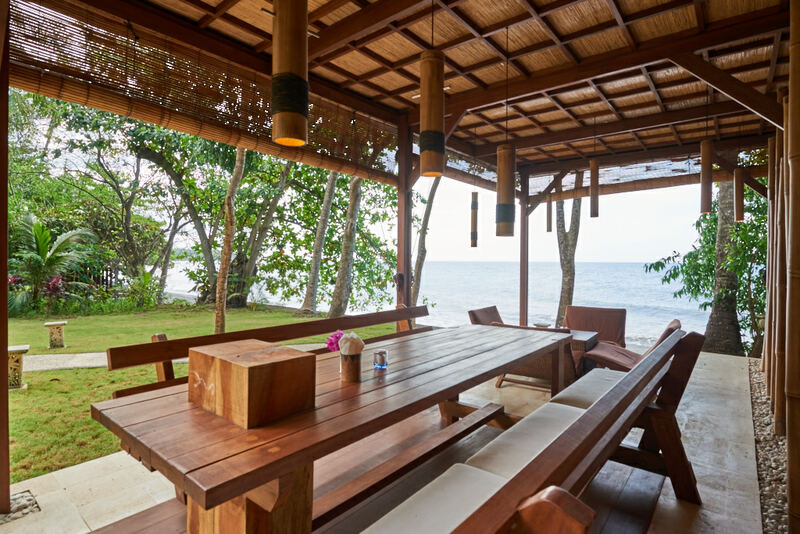 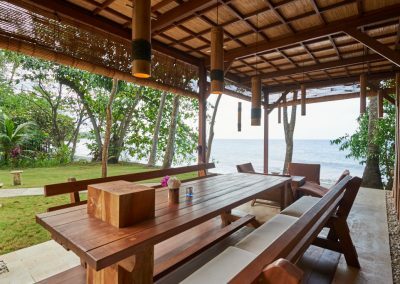 El fresco dining on the veranda overseeing the beach and ocean. 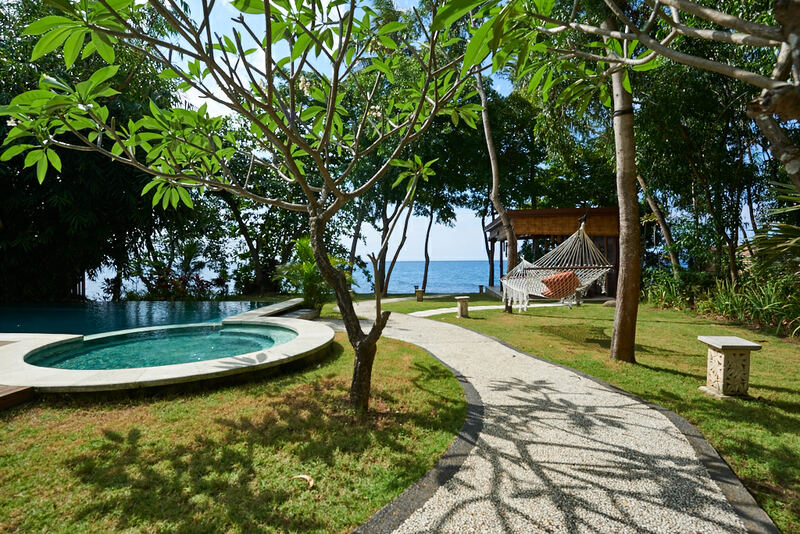 On the territory there is a private infinity pool with kids’ zone. 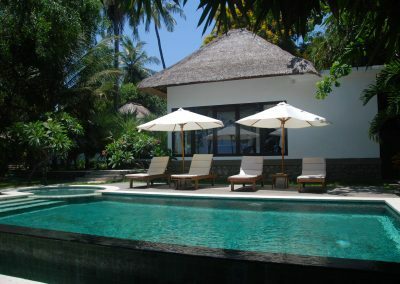 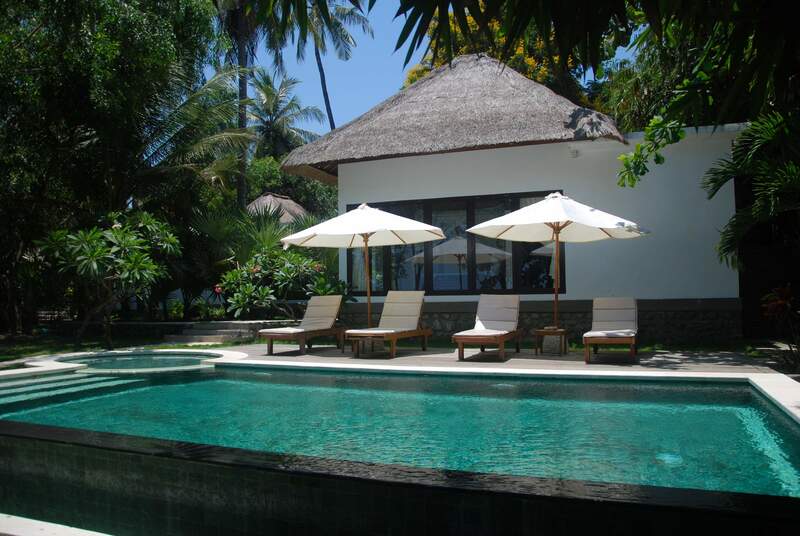 The villa capacity is maximum 7 people. 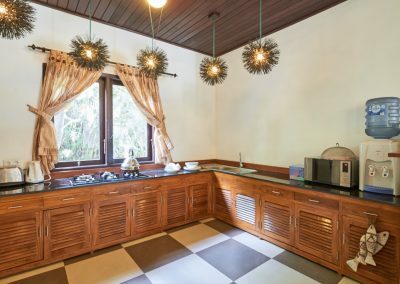 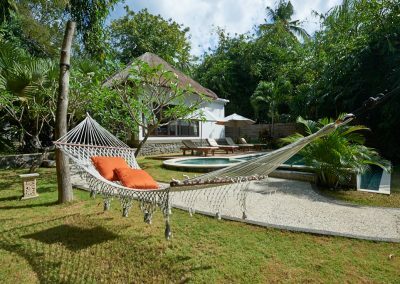 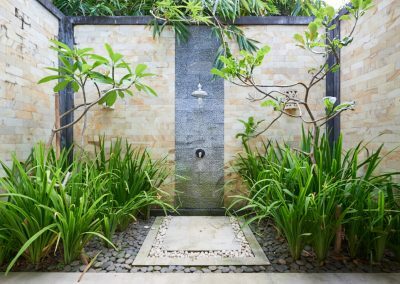 The Villa is surrounded by a beautifully landscaped garden.This property is in a quiet area, surrounded by nature facing the sea. 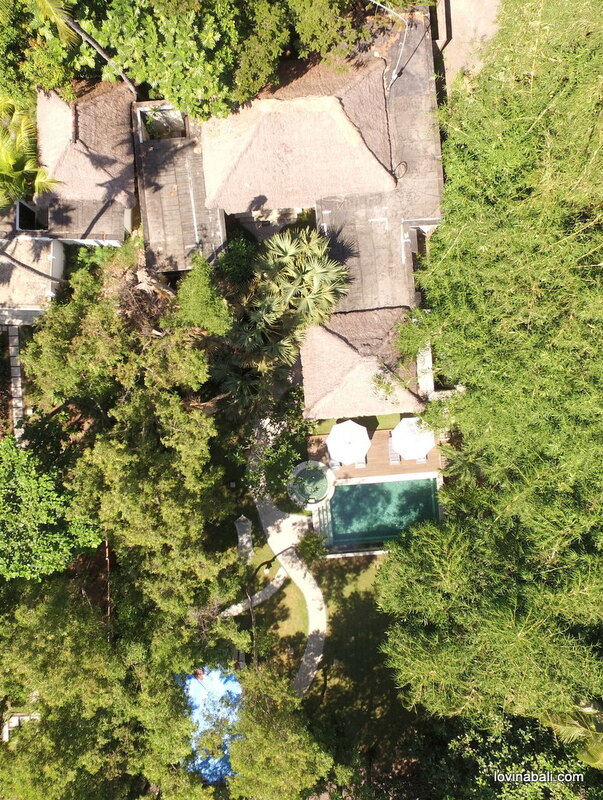 Excellent investment this property has all the paperwork for rental business in place. 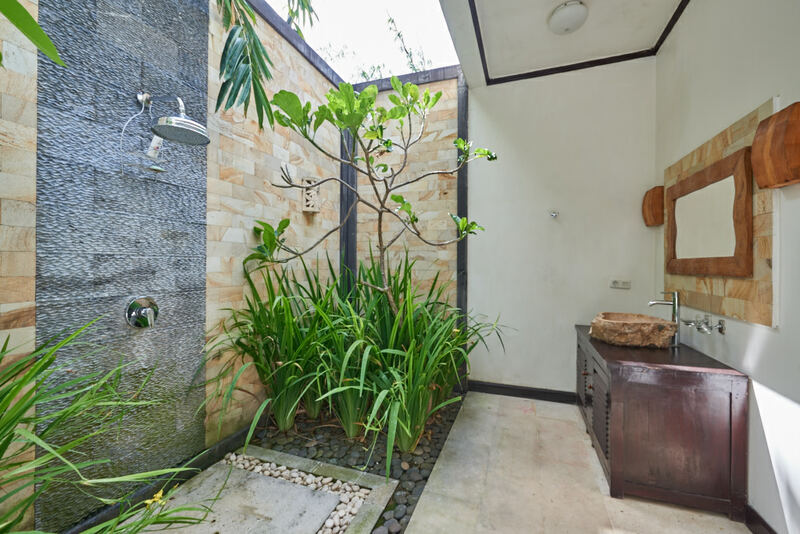 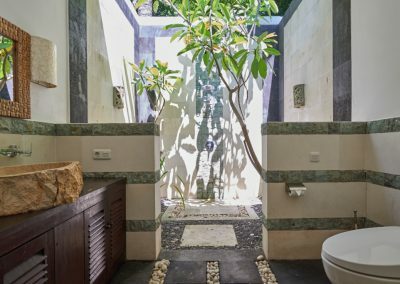 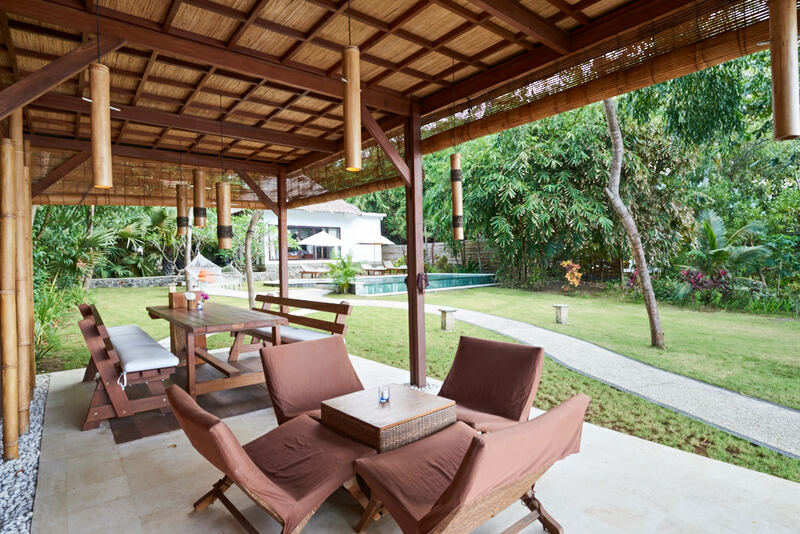 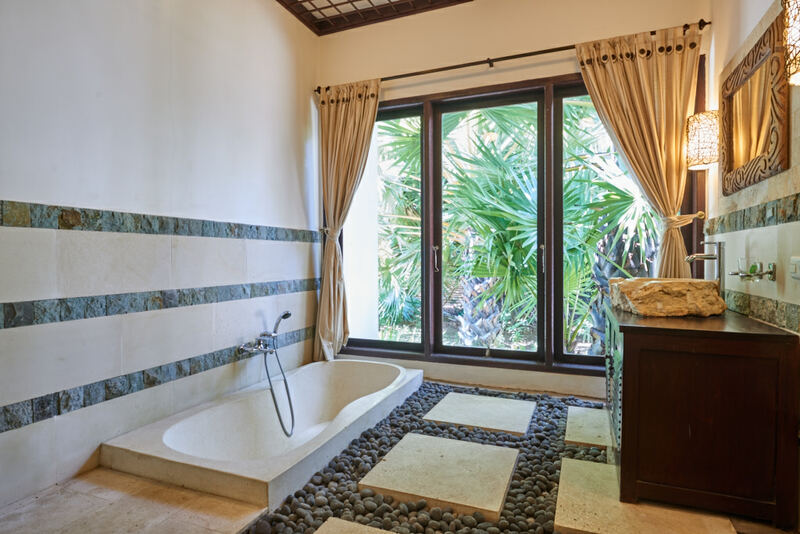 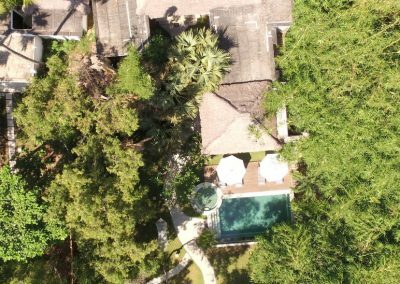 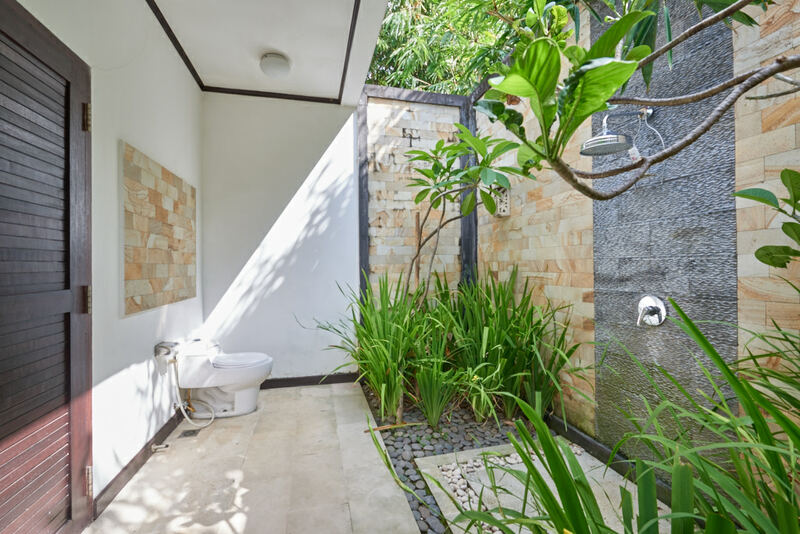 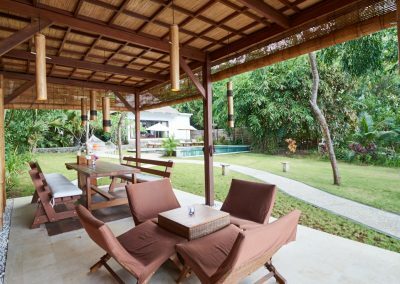 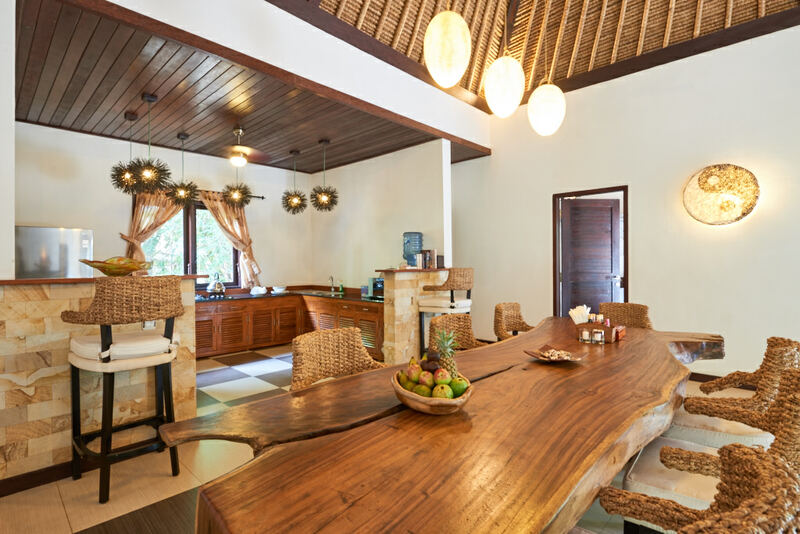 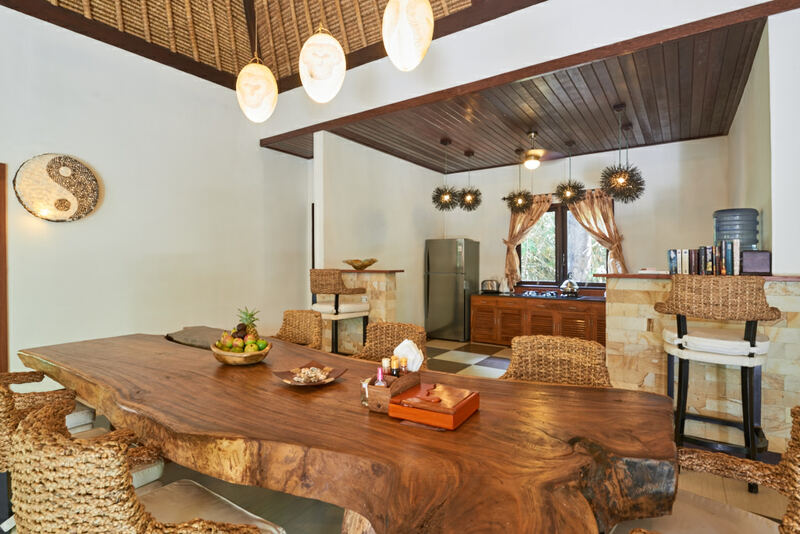 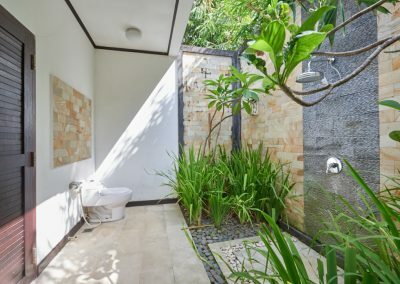 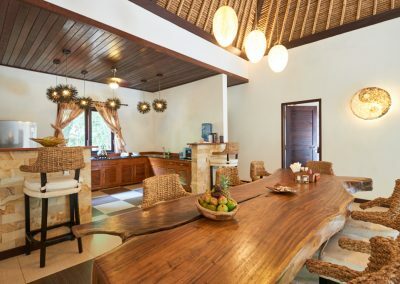 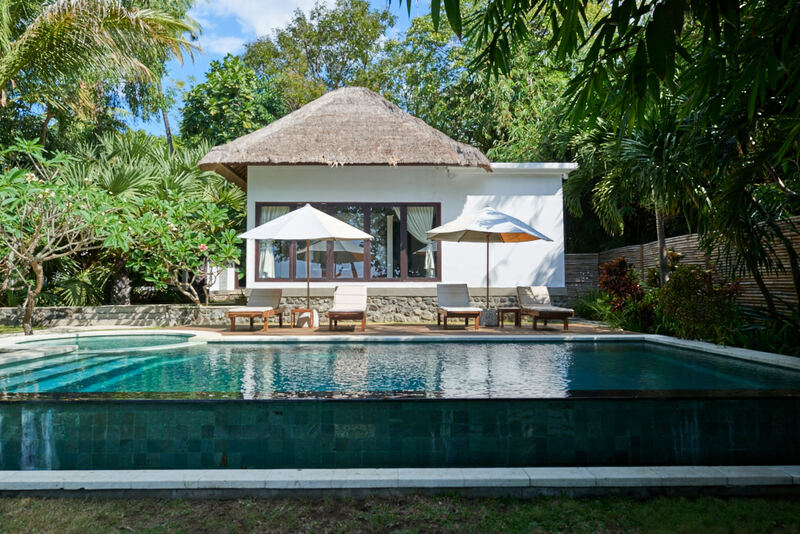 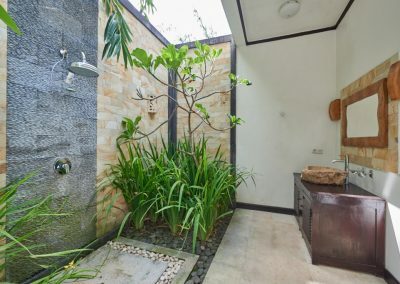 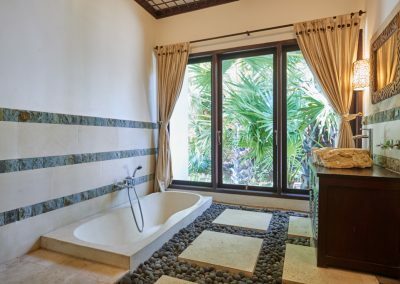 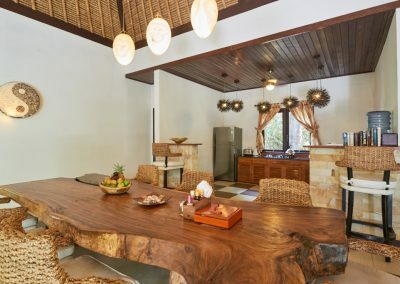 Ready to start a new adventure and start your own business and investment in north Bali, come and visit this villa, you will not be disappointed!